Concept Builders Add MEANING to Multiplication! 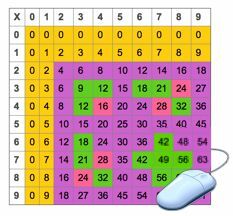 Each Factivation!® lesson includes three Concept Builders, designed to deepen students’ understanding of the concept of Multiplication. This power printable allows for close examination of individual facts. 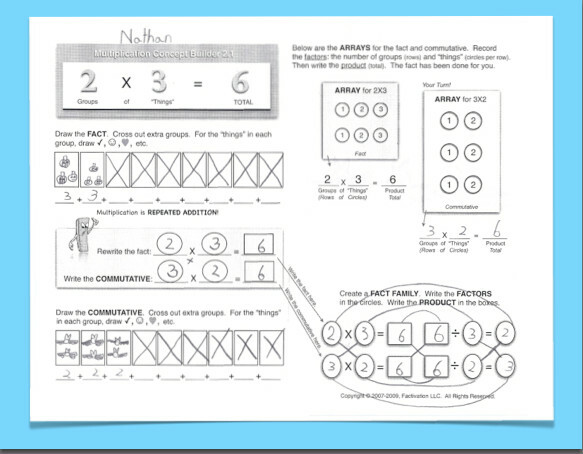 Students will construct models, interact with Multiplication vocabulary, and connect the focus fact to its commutative and Division counterparts.Concept builders are also available with the Addition/Subtraction program. This video demonstrates how a student would complete a Concept Builder activity.